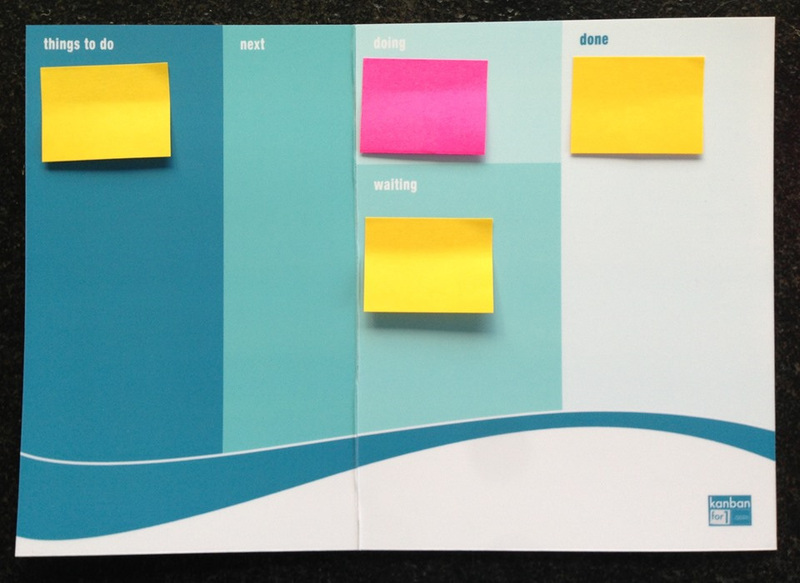 Is it possible to use personal kanban boards for daily stand-ups and to plan one working day if I work in scrum team? You are not diverging from the Scrum framework by keeping a Kanban board for work you have chosen i.e. Scrum don't care :). That said, work closely with your team to examine the impact of this new practice so that it is clear if it is helping or hurting. You are free to do this i.e. you would not be infringing any of the rules of Scrum. Adding in a layer of abstraction in the form of a personal Kanban board would seem to me to be a pulling away from teamwork or a symptom indicating the team is slave to a tool that makes managing work painful for the individual. Having said this, I would not dissuade you from trying something new that you think might help. Kanban boards, burn-downs, user stories, et al are not Scrum but rather complementary techniques many people use. Along with Scrum in general, these practices should meet regular and appropriate scrutiny as Development Teams do the hard work of improving the way they develop software within Scrum. It is possible, but does not make too much sense. If there is a scrum team, the daily meeting should be about the team's scrum board and burn down chart. There is no need for other artifacts for the whole team. If you don't have these, have them first, let them be around for several sprints, and discuss the results during the retrospective. In case the team is not mature enough, the scrum master should jump in, and coach the team so that they are able to use the scrum artifacts.